Brazilian superstar Neymar arrived in hospital Friday for an operation to mend the broken bone in his right foot that has ended his season at Paris Saint-Germain and overshadowed Brazil’s World Cup preparations. 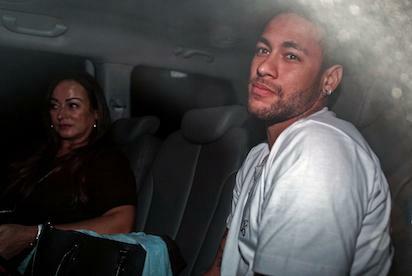 Brazilian superstar Neymar (R), is pictured next to his mother Nadine Goncalves Da Silva upon their arrival in Belo Horizonte, Minas Gerais state, Brazil on March 2, 2018 ahead of an operation on his fractured foot. 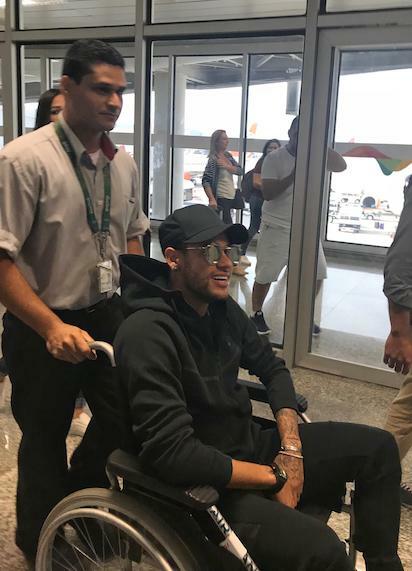 Brazilian superstar Neymar is pictured, upon his arrival in Belo Horizonte, Minas Gerais state, Brazil on March 2, 2018 ahead of an operation on his fractured foot. A picture obtained from Twitter account of @Claire_Dorland shows Brazilian superstar Neymar as he arrives at Rio de Janeiro after flying from Paris on March 1, 2018 ahead of an operation on his fractured foot. The post Photos: Neymar arrives at hospital for foot operation appeared first on Vanguard News.